What does this even mean? I don’t know about others but it’s not something I would ever use to describe a human being, let alone another woman. I find it insulting, and have recently found myself referred to as high maintenance. What I find interesting is the fact that the people referring to me as high maintenance do not know me, or my family, and are basing it solely on the fact that I have lived outside Zambia for the last 8 years. What’s worse is, these people call themselves Christian, and yet feel it appropriate to discuss people they don’t know, in such insulting terms. I am no gold digger, except if by gold digger you mean I get up in the morning and head to work, sometimes working double shifts, or working 2 weeks straight. I pay my own way, and my boyfriend is under no pressure to pay for my salon visits … I have gotten my hair done in a salon three times in the last 8 years because I prefer to do it myself. If I get my nails done, it’s cheap nail polish that I paint on myself. Maybe I am high maintenance because there are things that I absolutely will not do, like sit on my boyfriend’s lap, or kiss him, or allow people to call him their “mulamu”, which means brother/sister in law. Maybe I am high maintenance because I choose not to be referred to as his wife, or prefer to keep my relationship off of Facebook. Maybe even my insistence on maintaining natural hair, or my sometimes politically incorrect statements say I am high maintenance. Maybe it’s my refusal to enter conversations about myself that I feel inappropriate, or my refusal to join the swearing bandwagon. Maybe I am high maintenance, but at the core of my decisions as an individual, is this fact, I know myself, and want to make decisions that are mine and decisions I can own. There’s a lot I am learning about me, and I am sure that it’s grace that has brought me this far, and high maintenance or not, grace will get me where I am meant to go. My cousin sent me this photo about 2 weeks ago. It was meant to be funny, and maybe it is, but it had a sobering effect on me. Unlike most girls, weddings have never featured on my dream boards (mental or written). I have always had something I wanted to do more than get married and at one point, never even wanted to get married … I just never even thought of my wedding. This is the first real inspiration I have had when it comes to weddings. 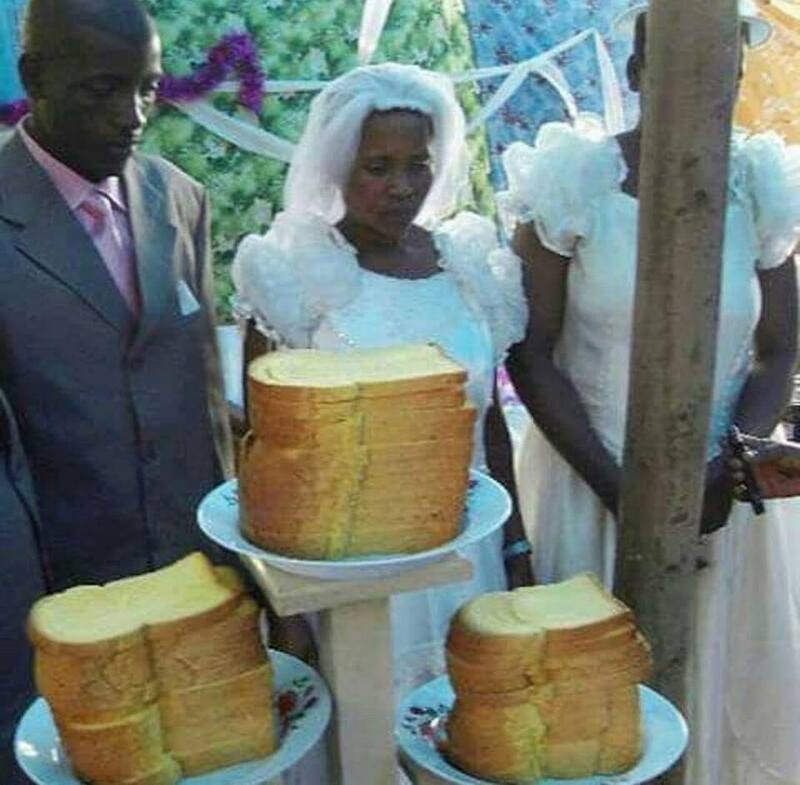 Yes, recently as I go through the bible, I find myself thinking, “I want my wedding, if I get married, to show clearly, that marriage is a mirror for Christ’s love for us.” But if I have had any drawing towards any concepts or ideas, this photo says it for me. Summed up in one word, it’s “simple”. I want a wedding within our means, not something that shouts money, or extravagance, but something small, clean and crisp but within our means. No debt, fun and beautiful, within our means, keeping in mind that there are more important things in this life. Pain … pain has the potential to ruin us, or grow us. I hurt my shoulder 3 months ago, and I’m generally constantly in pain. It took a while for the pain to kick in, but after it did, there’s little that doesn’t cause me pain. Things I used to do without a thought, I now have to think about, like whether my nephews and nieces are too heavy to lift onto my knee, whether holding the newest addition to our family, will aggravate my shoulder. I sometimes wonder if people believe that my shoulder is hurt, if people are talking behind my back, whether those who say they have my best interests at heart actually do. I feel small, disposable and trapped, struggling to do things that were so simple for me, like my crazy natural hairstyles–My hair is now generally always a mess, not even a hot one. I struggle to get up each morning, and I’m no longer writing at 4 am. I come home from work and sleep (I used to do that before but it’s different), and I am emotional. Pain has a way of ruining people, and I see now, just how easy it is, to get hit by depression, at this stage of my life. I’m not depressed, I wouldn’t place where I am in that category, I think that would be a dishonour to those who actually struggle with this illness, because I think it takes a lot of courage to live life with depression. I have to keep fighting for life–for my life–despite my pain. I’m scared my shoulder will never be right; I’m scared the diagnosis might be wrong, or that there might be no logical explanation for my pain, but we all must endure the different seasons in our lives, and this is my lot, my season of growth, that God alone has a purpose for. I must walk this road, my cross over my shoulder and not be rude or mean or unforgiving, because pain can never be an excuse; it will either expose my evil heart and leave me broken, or it will keep me on my knees and cause me to bask in God’s goodness. Two scriptures gave me strength yesterday. Psalms 115:1 and Psalms 118:29, and I pray that God’s grace propels me to wake up and endure this pain a little while longer, if he so please. As this day comes to an end, I feel it appropriate to give praise where it is due. God has brought me this far. There are some who might call me crazy for believing in a being I can’t see, but this life has been rough! So, so rough and unrelenting in it’s challenges. When I felt out of place among my peers, with no confidence in myself, it was among God’s people, I found acceptance. It was God who gave me a family that defends, protects, corrects and accepts, even when I have nothing that seems acceptable within me. It is this same God who has seen me through moments of great despair, when all I could see was death. Few would know this, but there were times, plenty of times, when death seemed appealing. When I was so scared of throwing myself in front of a train, that I couldn’t leave the house, it was God who brought healing. It was Him who gave me the child, who has been a teacher and inspiration. It was God who has kept me standing, brought me joy and brought love into my life when I least expected it. It was him who gifted me with a love for words and poetry, writing and drawing. I am a mother, with endless dreams and possibilities. Everything I have to be proud of, has been given to me. Gift’s, I hope, that can point people toward heaven. I guess if I died today, I would want people to see God’s stamp at every step in my life. If you learn anything from my flawed life, I hope it’s that God is good and that there is nothing that happens out of His authority, and that if He allows it to happen, it has a purpose! I’m 26, and I’m living again; that is a miracle, that renders me unable to forgo the craziness of believing in a God I can’t see … I have seen Him, in the grace of those who share my belief, in those who shared it before me. I have seen Him in the small details of my life. Not only have I seen Him, I have heard Him and my prayer is that I would see Him and know Him as more valuable than anything else.